1. In a thick bottom vessel, allow the milk to boil. Reduce the flame to slow. After few minutes a thin layer of cream will form on the surface of the milk. Lift the cream layer and move to the side gently. 2. This will allow the milk to make a fresh layer of cream. Again repeat the process of moving the cream layer to the side. Continue this process till the milk reduces to slightly less than half on slow flame. Also keep gently scratching the bottom of the pan occasionally to avoid milk sticking below. 3. Add sugar and give a complete boil. Remove from flame. Now carefully scrape off the milk (khurchan) which was sticking on the side as well the cream which we earlier moved to the side in thick milk. Very gently stir in the scrape and cream layers in the thickened milk. Add chopped dry-fruits. 4. Allow rabri to cool completely. Refrigerate for few hours before serving. I usually do it overnight. You can increase the sugar to ½ cup of sugar or more depending upon your taste. I have kept it on the mild sweet side. 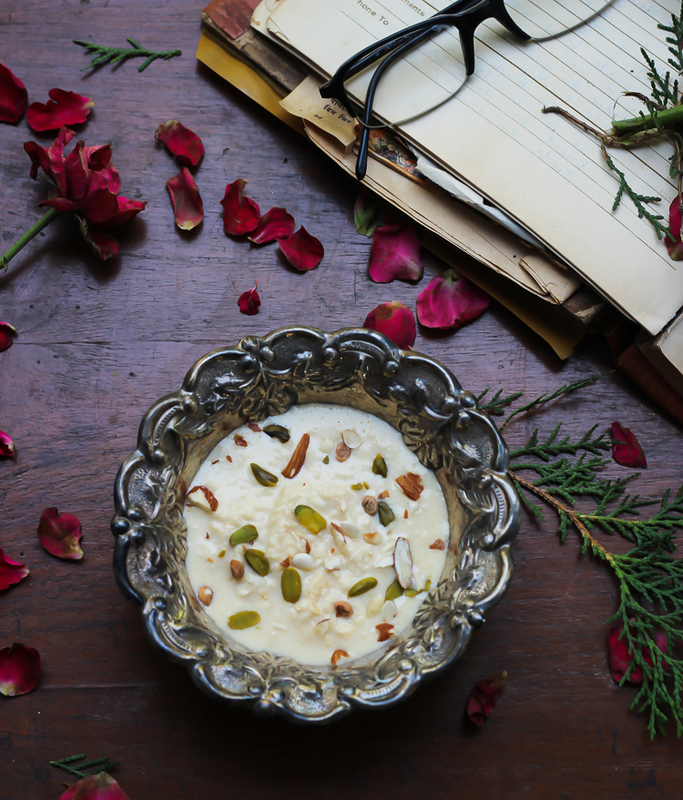 You can even serve Rabri with Malpuas or Shahi Toast.